Imagine coming home after a long day and it’s pitch black, so you flip the light switch, but nothing happens. You’re hungry, so you throw food in the oven, but it doesn’t turn on. You decide you want to go see a movie, so you head down to your car, turn the key in the ignition, but again there is no power. We all take energy for granted as the population of our world is growing to counts never imagined. Climate change is one of the preeminent environmental issues of our time and the single biggest challenge we will face in our future is adequate energy for the exponentially growing world population. Without adequate energy, there will be a shortage of clean water, healthy food, building materials for shelter. However, there may be a viable solution, creating net-zero buildings. As an environmental and renewable energy advocate that is entering a career in geospatial analytics and planning, I have a keen interest in sustainable, energy efficient buildings and landscapes. Thankfully, Virginia Tech and my experiences coming from positions in government and planning firms, have exposed me to these major engineering challenges at a relatively young age. A net-zero energy building is a facility that consumes as much energy as it produces on an annual basis. This means that the building uses no more energy than it can generate itself. A building can be made into a net-zero energy building by reverse engineering. 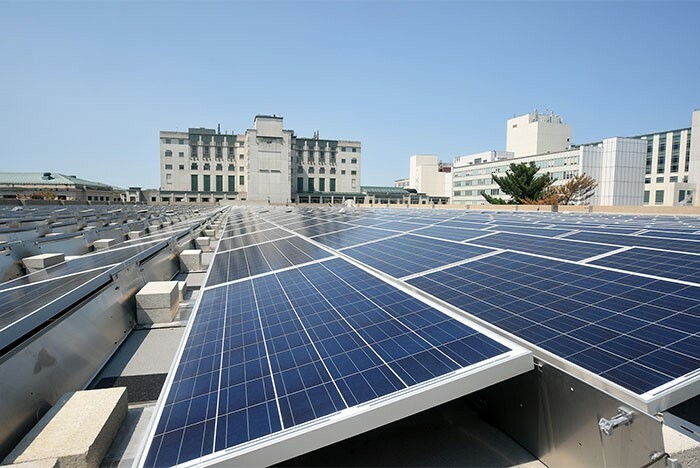 While a traditional building is designed, constructed, and plugged into the grid to pull as much energy as it wants, a net zero building can be designed not exceed the energy limit that is estimated based on the operations and usage the building is designed for. Excessive energy consumption isn’t a limiting factor as the building is plugged into the grid and can put back any excess energy it creates. Imagine receiving a utility bill and it being a time to rejoice over net-zero energy goals for your home or workplace with excess energy being sold back to utility to be purchased by others in your community or to power the street lamps and traffic lights that make it safer! While making a home or building net-zero might have a slightly higher upfront cost, the long-term cost will be lower as buildings will produce their own power. Imagine a sustainable world where we don’t rely on utility companies but rather a world where our homes and workplaces generate electricity and earn money while powering all of machines, lights, HVAC, etc. within; what a concept!